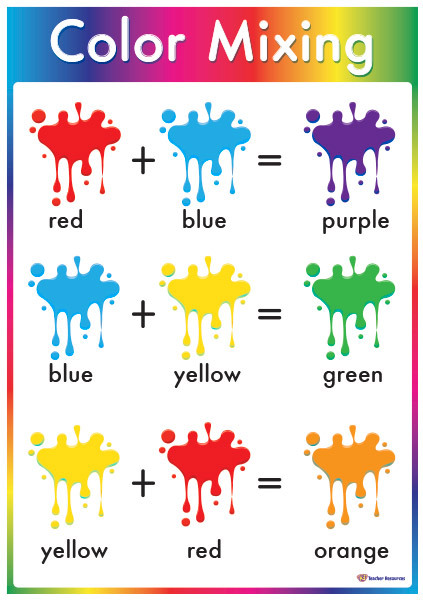 A poster to show how to mix primary colors to make secondary colors. Ideal to use in the classroom when learning about how primary colors can be mixed to make secondary colors. Display in the classroom and use as a reference during Art lessons.